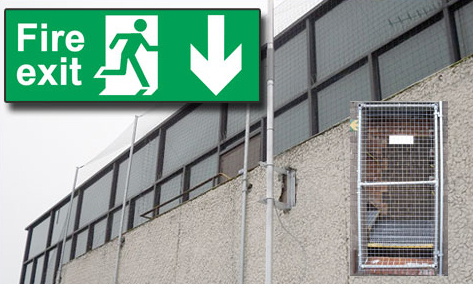 This pigeon netting system is supported by 35mm steel posts to raise the netting and allow the fire escape door to open freely in the event of an emergency. The steel posts are used as anchor points for the 2mm steel wire rope and barrel strainers to connect to, so a formation of wires can form a structure for the netting to be connected to. For questions, queries, quotes or anything else - get in touch.